Public spaces – what do we know about them? The interest in public spaces has always been in the focus of researchers and practitioners of urban design1. As we can see from the book Public Spaces Urban Places (Carmona et al., 2010) they can be approached from various dimensions: morphological, perceptual, visual, social, functional, and temporal. For many reasons, public spaces are very important for cities and therefore for urban designers, though in this particular blog we will tackle its societal dimension. 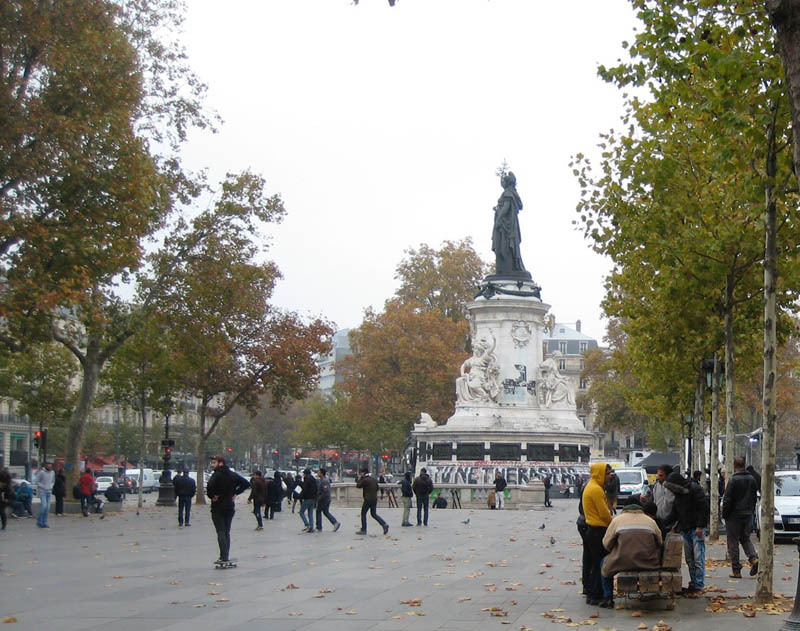 It was just a week before the terrorist attacks when I visited Place de la Republique in Paris. 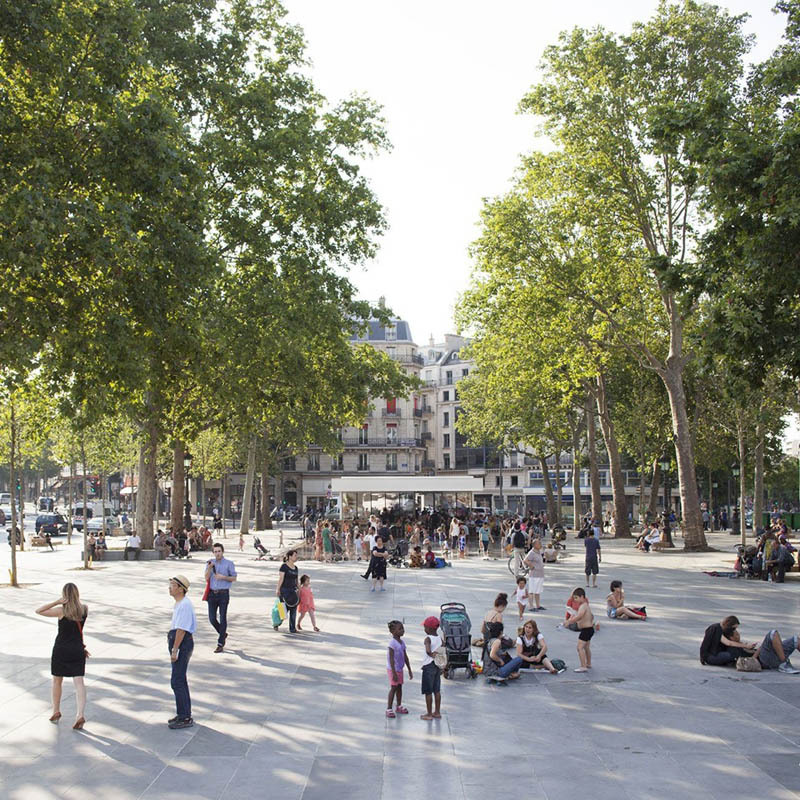 This square, the largest in the city, has always had a special meaning for Parisians, as a place where citizens come to relax, enjoy, rest or play. Throughout history, citizens gathered there for public displays of both joy and grief, where they shared good and bad moments and where they voiced their opinions or fought for their ideas. 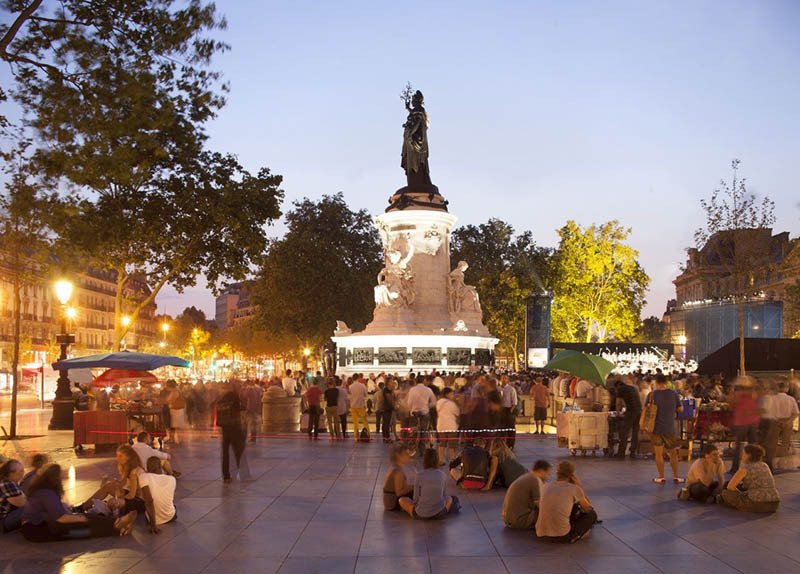 Place de la Republique is a true agora and a part of public realm that reflects democracy and solidarity, the need to be together and share with fellow citizens. Having spent quite a lot of time in Paris over the last few years I have visited many of its public spaces, some only once and others several times. It is always good to see places again as they change, or we change, or the circumstances change (weather, season or the time of day) so we can always discover something we haven’t seen before. 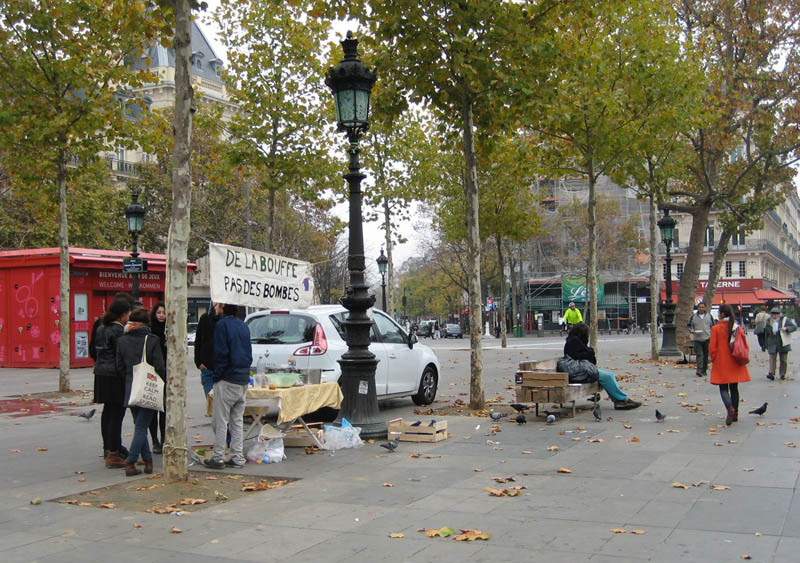 For twenty years I would just pass by the Place de la Republique and observe it from the car; this time I decided to visit it and see how the square looks after it was renovated in 2013. 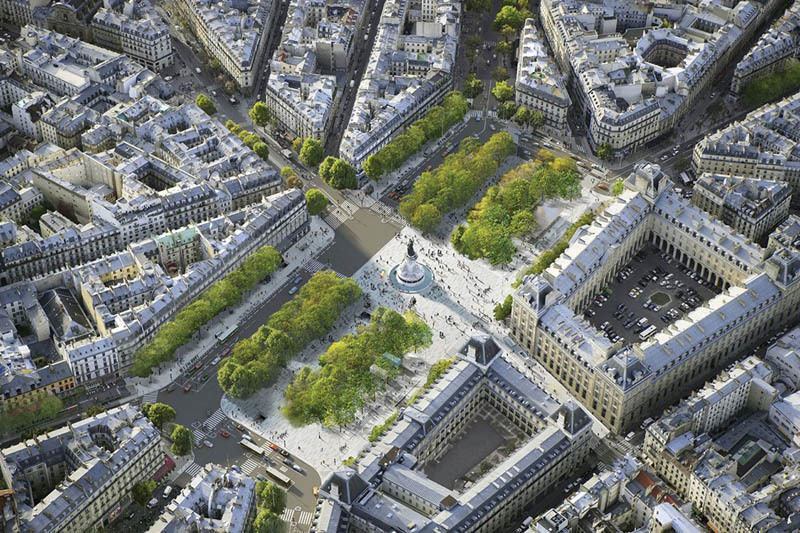 “Due to its exceptional size (120 meters by nearly 300 meters), its symbolic dimension as a representative public statement and its location in the city, the Place de la République occupies a special place in the international hub that is Paris. 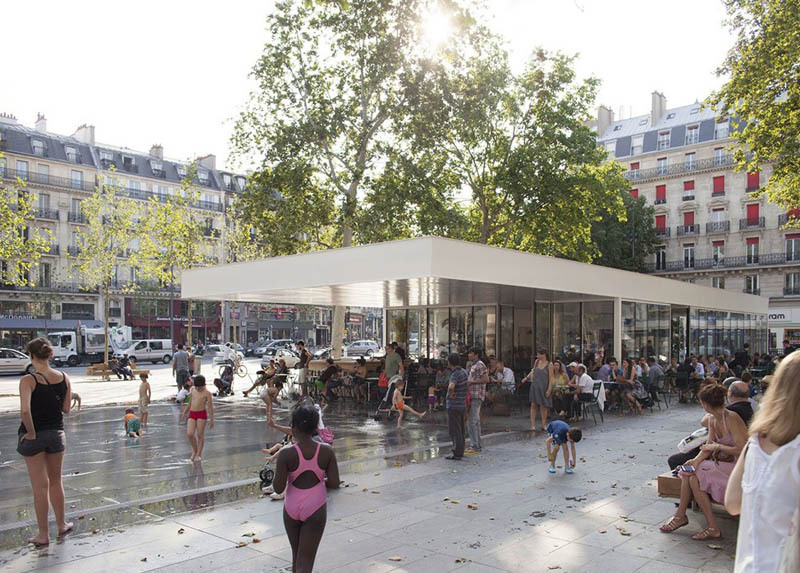 The redevelopment of the square by TVK – Pierre Alain Trévelo and Antoine Viger-Kohler together with Areal Landscape Architecture and Martha Schwartz Partners is based on the concept of an open space with multiple urban uses. The creation of the concourse marks the return of calm in an airy, uncluttered, two-hectare space. 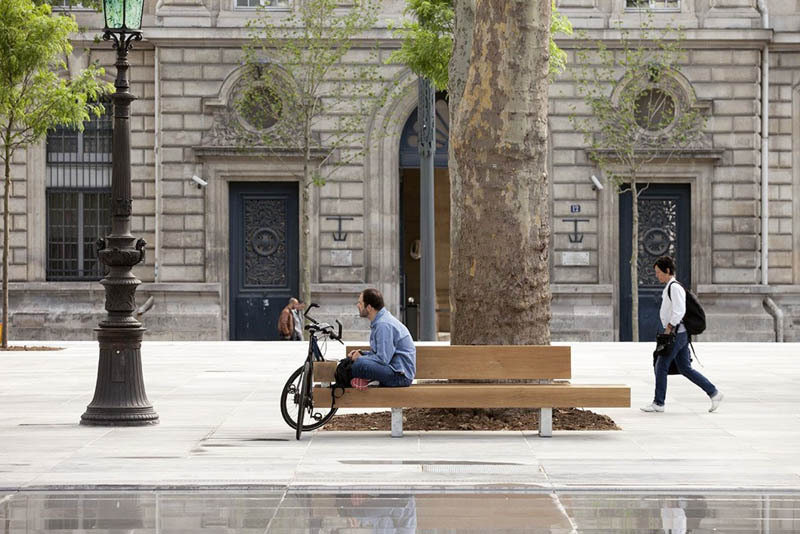 The new square, now skirted by motor traffic, creates a large-scale landscape and becomes an urban resource, available and adaptable for different uses. The statue of Marianne, the reflective pool, the ­pavilion and the rows of trees form a strong axis. All these ­elements contribute to both the interpretation of unitary materials in a perennial and contemporary manner and multiple ­explorations creating different urban ambiances.” These original drawings and photos of the Place were also there and can still be found on the website of the TVK office. Having read this, I expected to see a lively and cozy square full of people having lunch or walking in fresh air during lunch break. The day I visited was gray and cold, around lunchtime. Homeless people, few others passing and looking at them, sad, depressive. Well, the savvy observer could argue, it was November, Monday, not good weather, what did you expect? But then still, the traces of deterioration and low maintenance everywhere, the pavilion burned in the fire was closed, the fountain disappeared. 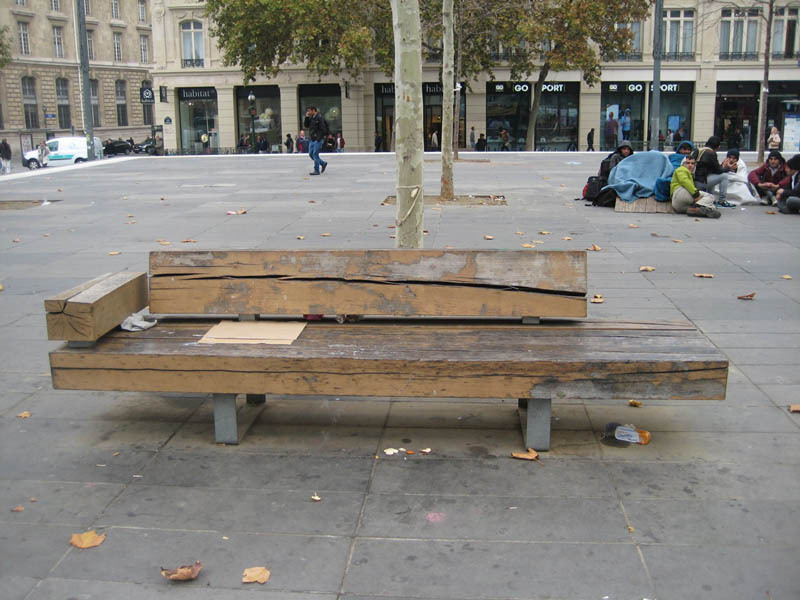 Although the materials that were chosen for the design of the square were massive, robust and looked sustainable, look at the details in the photos below, after only three years the benches are so damaged that I was wondering why and how this could happen? Was it a design problem or social problem or something else? 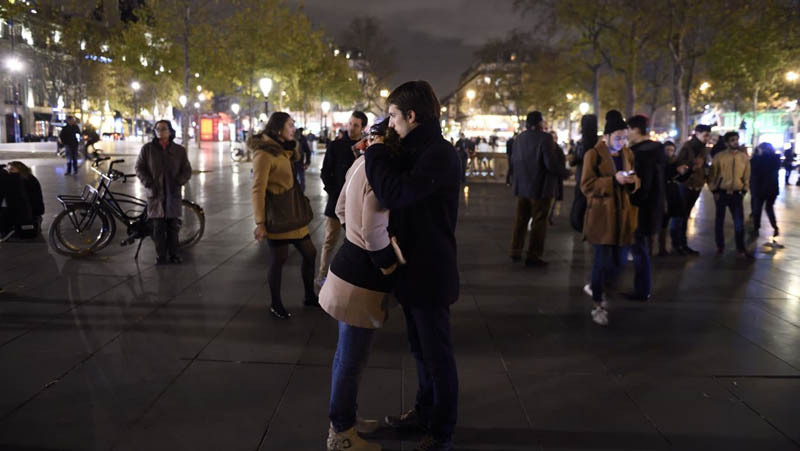 I was planning to investigate this a bit and write the blog about that when suddenly on Saturday morning 14 November my friends woke me up phoning, skyping, and sending messages on Facebook to ask whether my family in Paris was OK. 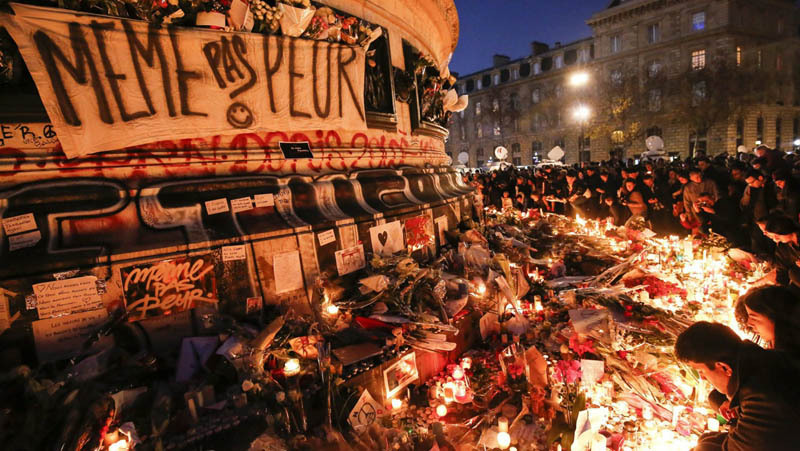 In the following days the media was full of these photos from the Place da la Republique. As in January this year, again this November the importance of the square scaled up from Paris to the whole world, symbolizing the place of people who plead for peace and freedom, and show their resistance to aggression. Next year, we will be celebrating the hundredth year of the birth of Jane Jacobs, who probably never thought of terrorism when she wrote about city parks and sidewalks saying that they “mean nothing divorced from their practical, tangible uses, and hence they mean nothing divorced from the tangible effects on them – for good or for ill – of the city districts and uses touching them” (Jacobs, 1961). The relationship between the design of a place and its use is the subject of many scientific and professional discourses (Carmona et al, 2010; Tisma and Jokovi, 2007). 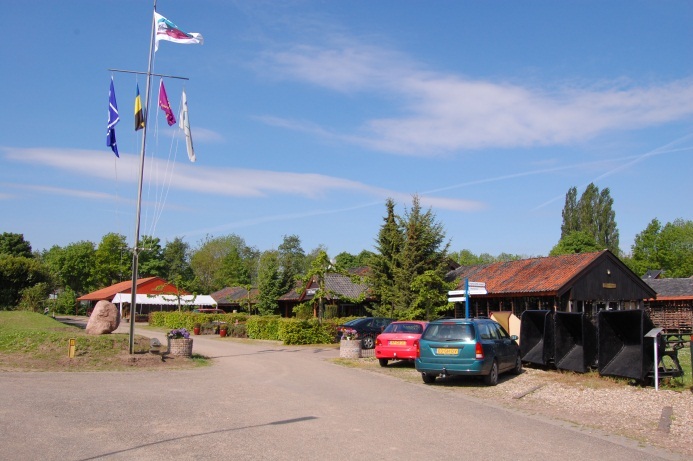 In the discussion of recommendations for the design of green open spaces in Dutch towns and cities, Van Ewijk (1999) says, “There is an essential difference between the potential environment (what the designer wants it to be) and the effective environment (what the users actually do with it)”. 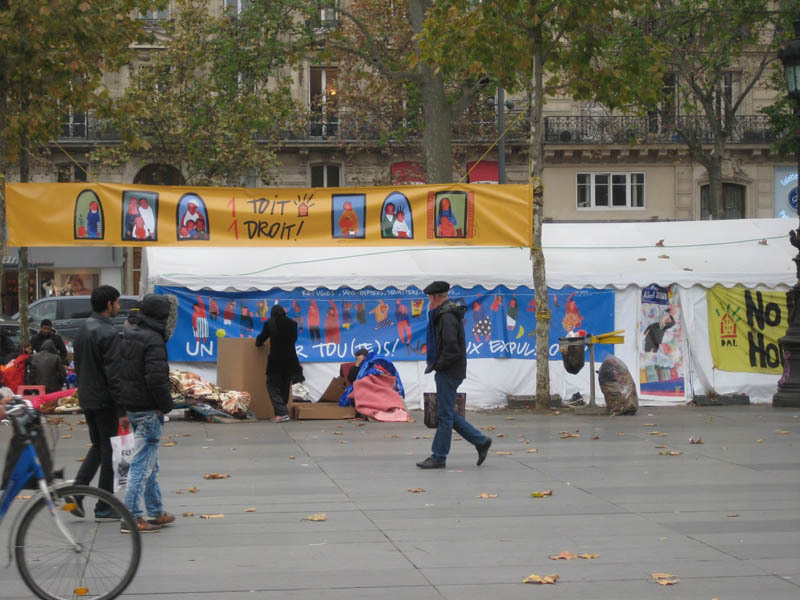 By looking at these photos during one month I started to understand that the Place de la Republique has many different faces and that the pressure and amount of people it has to sustain in extreme situations overcome the capacity and materials the designers had in mind. Originally designed for leisure purposes this place just couldn’t bear that pressure. Have designers forgot about this fact, or we only design for pleasure, is it not possible to merge both programs in one square? Or are we ignorant and superficial when we make judgments about places on only scarce number of visits, which seems to be common practice? Yes we are using many desk analyses, methods and tools to understand a place, but how much of its nature do we still miss? 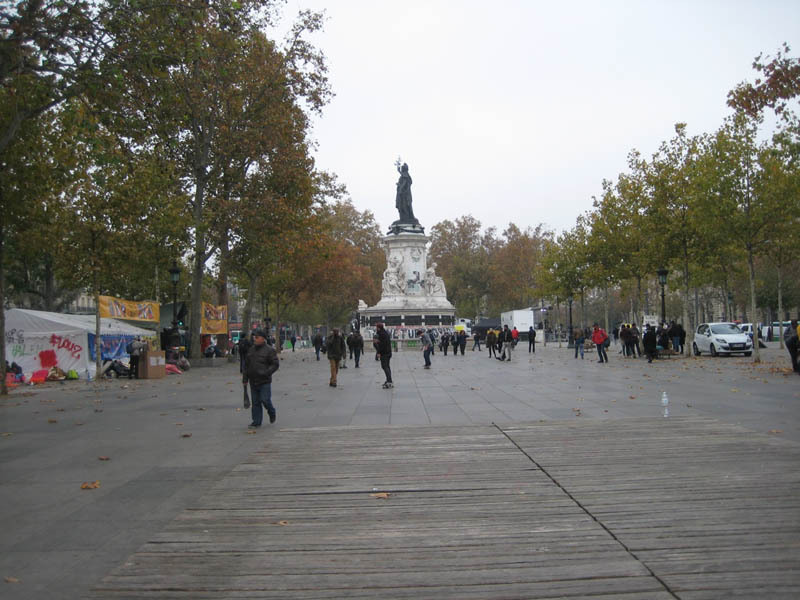 This is how the Place de la Republique looks today, the day I am writing this blog. Thousands of shoes — including a pair from the pope — were arranged at the Place de la Republique to represent activists who could not participate due to the ban on large gatherings. Organizers said they had collected more than 11,000 pairs of shoes. There is no conclusion and no message in this blog, just an end in the (sometimes irritating) style of a new French novel or film, which opens the themes to think about, that can lead anywhere, as uncontrollable as urban life itself. Here are for example two organizations which have been involved in research and practice of public space development for many years: Project for Public Spaces organization and OpenSpace research center. Carmona, M., Tiesdell, S., Heath, T. and Oc, T. (2010). Public places, urban spaces: The dimensions of urban design. Routledge: Taylor and Francis Group. Jacobs, J., 1992. The Death and Life of Great American Cities. Originally published in 1961. New York, Vintage Books. 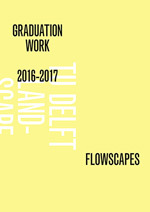 Van Ewijk, D. (1999). Grip op Groen. The Hague, VNG Uitgeverij. And this paradise cost approximately 400 euro per person for 10 days. When I got to Schiphol I discovered that the flight was fully booked with old-aged pensioners, families with small children and single women, and in between also some of my Dutch colleagues, among them Meto Vroom. This was for me for the first time in my (not so short) life that I was to stay in an all-inclusive resort but there were obviously a lot of people who can’t resist this kind of offer I realized. Upon arrival, to my surprise, a red band was fixed around my wrist and soon I discovered that it means that I can eat and drink without limit for breakfast, lunch, afternoon tea time, dinner, and even have a midnight snack. 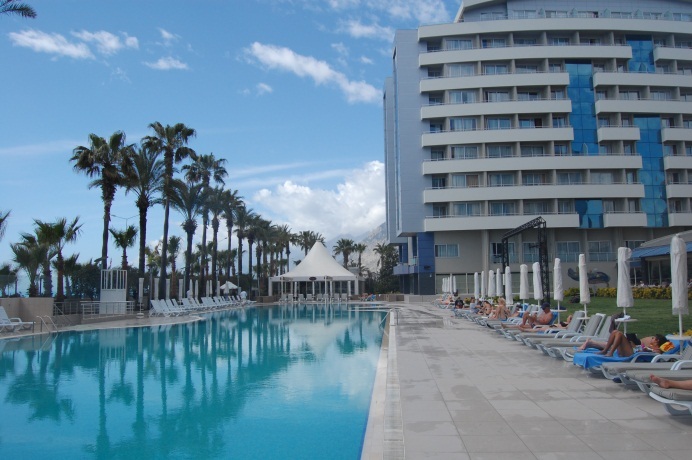 I also had unlimited use of the swimming pool, sauna, Turkish bath, fitness, disco and beach beds. Organizers of the Le-notre event this year have chosen for the very good concept. Every morning we had three or four plenary presentations covering the main themes and in the afternoon we were divided in working groups, each dealing with a different subject. The themes chosen for the four working groups reflect the growing importance of landscape at the European policy level and targeted some of the key issues highlighted by the European Science Foundation’s Science policy Briefing: “Landscape in a Changing World: Bridging Divides, Integrating Disciplines, Serving Society“. The four themes were:Urban growth and peri-urban sprawl, Sustainable tourism, Heritage and identities, Rural change: landscapes and lifestyles. The case study area for all working groups was the broader region of Antalya, which we went to see the first day. I took part in the first working group, but later by the presentations of the results of the groups we realized that the four themes often overlap. 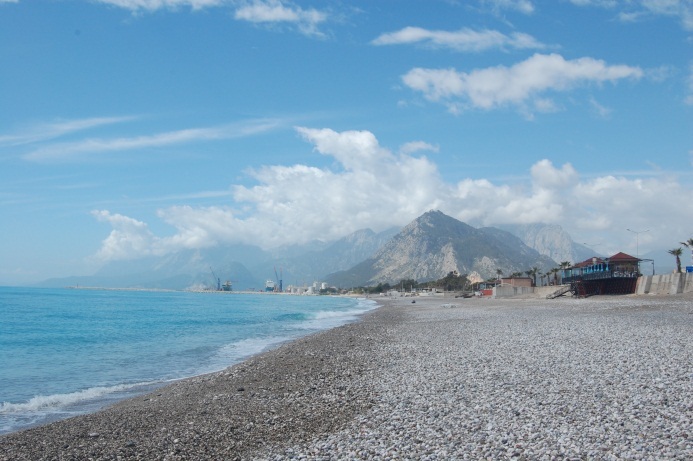 Antalya is situated in a perfect natural setting that in a way resembles Rio de Janeiro. Clear blue seas, beautiful pebble beaches surrounded with high, rough and steep mountains and fertile valleys in the background. What “God” gave to Antalya is simply perfect. Unfortunately afterwards men were not such a perfect creator.From approximately 27000 inhabitants in the 50’s, Antalya has reached more than one million inhabitants by now. 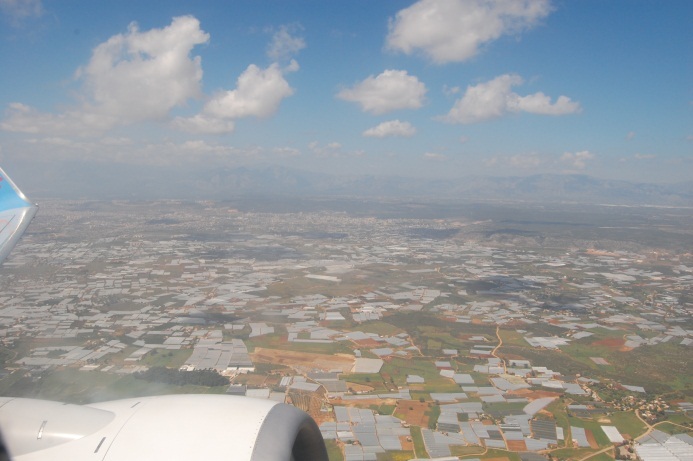 The valley is fully built up with glasshouses and infrastructure, from the air it resembles our Westland. High-rise apartment buildings and hotel resorts stretch along the beach, behind them shopping malls, housing blocks and streets full of traffic. During the excursion we visited municipal urban development department and spoke with several colleagues. 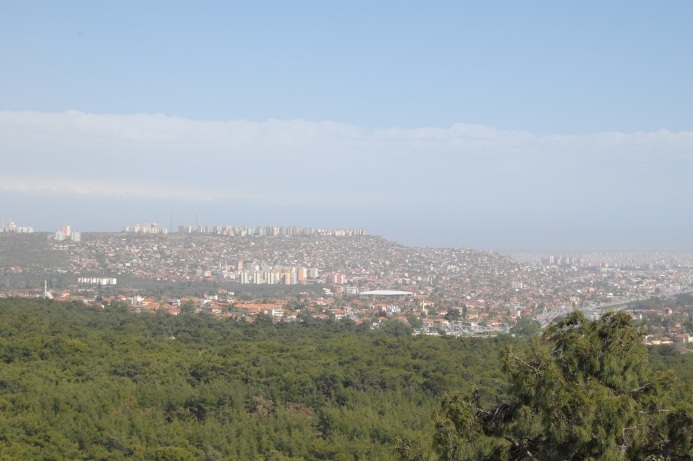 We learned from them that urban planning system in Turkey is very centralized and sectorial. The ministry of traffic in Ankara develops the main infrastructure. Land ownership and “developer urbanism” are other two important factors that give the form to the space. 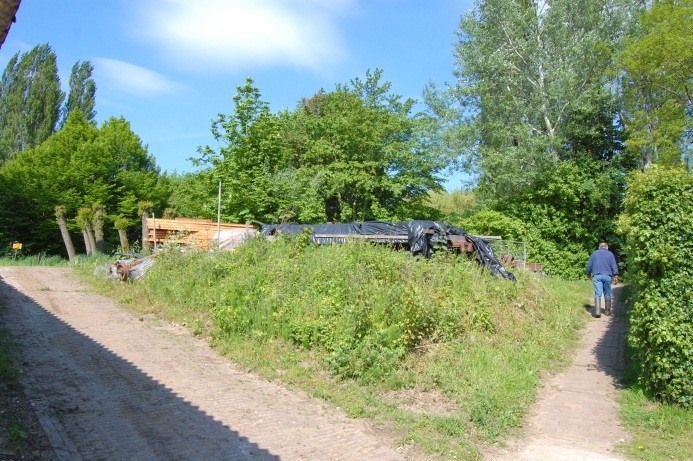 What is left between the roads and the allotment is the area where urban designers and landscape architects can act. As one can imagine that is not much and the consequences of this approach are catastrophic. While initially the goal of the working groups was to help our Turkish colleagues with ideas what to do with this landscape, ultimately it seemed fairly hopeless that they can do much with our advices. Therefore one of the most mentioned conclusions of the Le-notre forum was that the only solution in cases as Antalya (which by the way can happen everywhere in Europe) is to act to put landscape to a higher position in the European political agenda. Back to the Netherlands I returned to my work on the theme “leisure landscapes” which is the part of the PBL project “Nieuwe arrangementen en verdienmodellen in het platteland” (NAP). In search for the new business models in recreation sector I was recommended to study the pilot project “Dijk van een Delta”. Under the motto Surviving with water, a group of 12 recreation entrepreneurs launched the pilot project “Dijk van een Delta”. The area of the pilot occupies the entire east-west oriented Dutch river delta and the Zeeland from the Dutch-German border to the North Sea. Each of the twelve areas – “places of development “- has its own character and special offers. 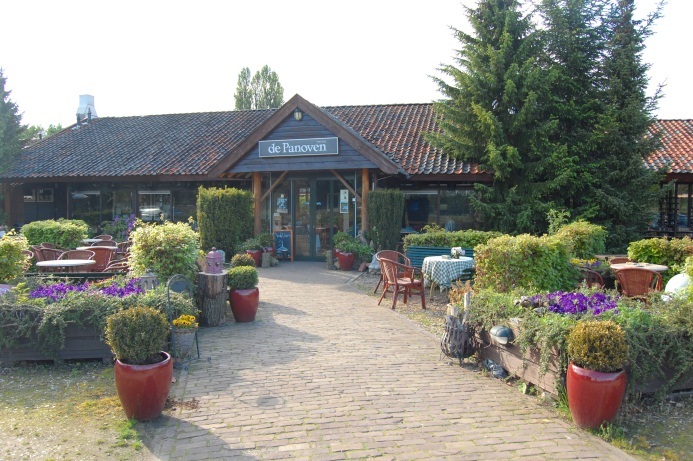 I chose to visit one of them, the Buitenplaats Panoven in the municipality Zevenaar (website Panoven). 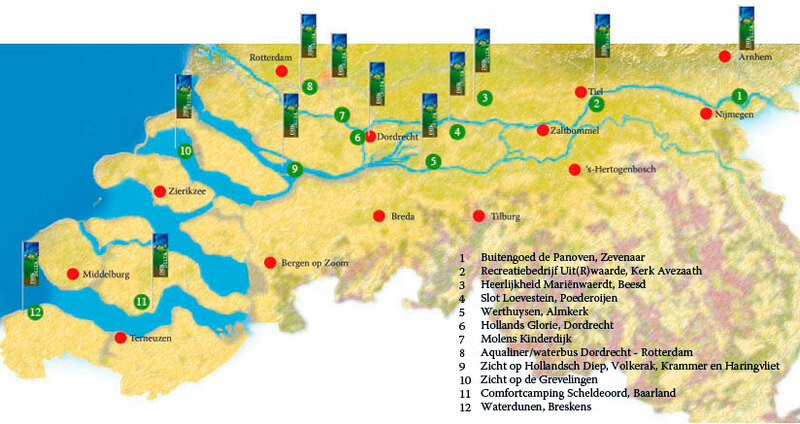 Map of the “Dijk van een Delta” with the list of the twelve participating entrepreneurs. One of the important question for the PBL – NAP project was the influence of the new arrangements on the landscape. It was often mentioned in the texts about the Panove that they invest in spatial quality in and around the site and the owners of the estate see an attractive landscape as essential part of the image and touristic offer. The picture of neat, organized, clean, tight, polished Dutch rural landscape came to my my mind. Maybe that was the reason that I was surprised with what I in the first instance saw on the estate – ugly entrance, all kinds of buildings, caravans, tents, parking places everywhere, leftovers of garbage, unused machines and the car of the owner parked in the middle of the garden terrace So I asked myself: is that now this often mentioned quality of the landscape? Or do we have different view on what landscape is? But then I went looking around, and I realized that although the owners have no sense of aesthetics, what they’ve done is special – they could just sell this land and now a new housing area will stand on this place. 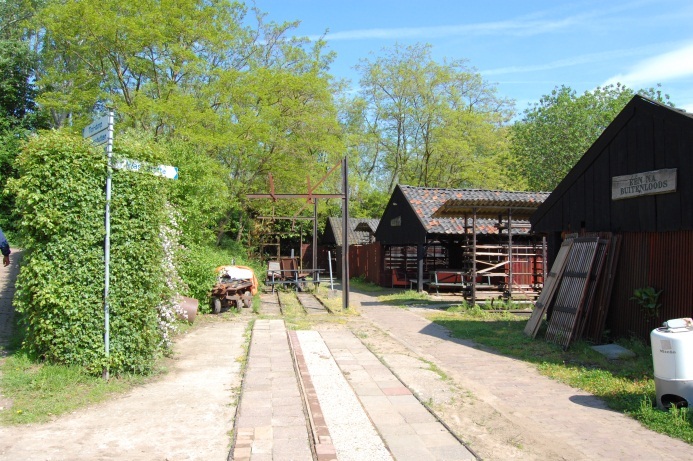 When production of bricks stopped, the municipality put on a lot of pressure to force owners to sell the land to the municipality as Zevenaar wanted to expand with 1500 homes. 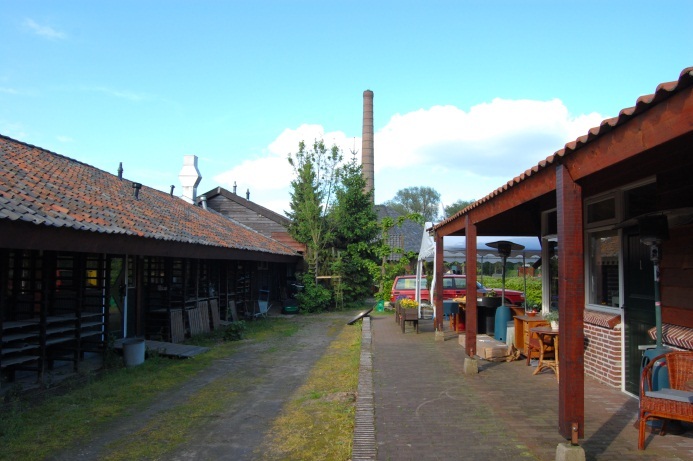 One should have in mind that thirty years ago the trends in development of the rural area were different than now, the owners of Panoven were pioneers in their ideas and had to constantly fight with the municipality. Nevertheless instead of selling, they preserved the estate, reused the buildings and created new functions. Unconsciously these people also created the new opportunities for landscape architects – to help intervene and think about the form and design of such places. 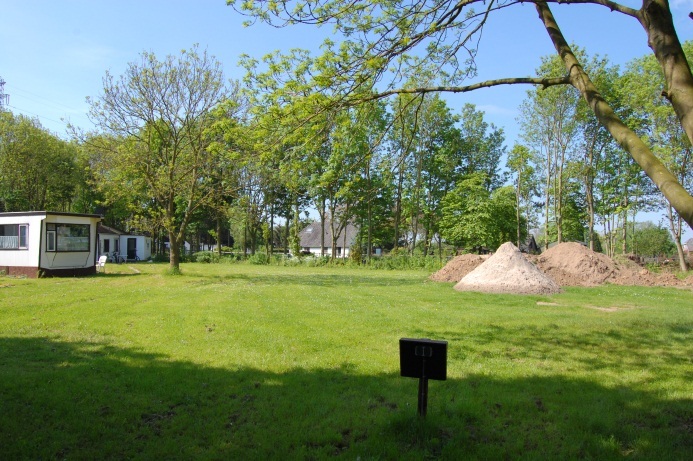 During the interview with Erna Kruitwagen she admitted that there is a lot of work in landscaping needed. 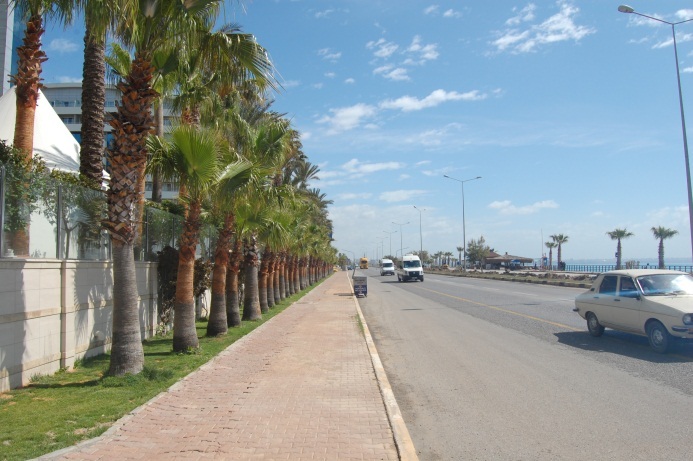 Thinking back to the Antalya experience I compared it with this heritage tourism place. The night in the Panoven bed and breakfast costs 90 euros, and then you have just opened your eyes and where is lunch, dinner, coffee and every drink that costs 2.5 euros? 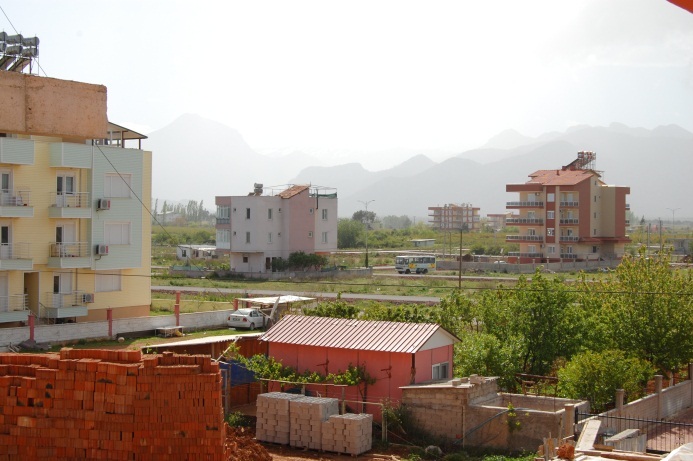 While in Antalya for 60 euros per day you have all this. In terms of travel time it takes 3 hours from Schiphol to the airport in Antalya, from The Hague to Panoven it takes two. Yes, I am glad to be a sustainable or a heritage tourist because that is how I grew up, but I wonder how many people in this country are like me? The plane to Antalya was full, but I was one of only seven guests at Panoven. Answering that question Erna Kruitwagen was furious. She said yes, that’s a good question that should be put to the government. Because next to the many costs and taxes that the small entrepreneurs have to pay there is at the moment discussion about rising the taxes from 6 to 19% which makes it impossible to bring prices down. More recreational opportunities close to home is a trend that STIRR and other recreation entrepreneurs promote, but how realistic is this in these circumstances?